Well if you have read my blog for a little bit you will know I speak of a fabric sale that I go to that designers have. I have gone here for years and buy the most beautiful fabrics that are fabulous quality for an incredible price. Now I am a tight a$$ but I always buy and it is beautiful stuff. Cottons, silks, wools lots of beautiful stuff...don't miss it. I need to make lots of stuff while I am on holidays as I have NOTHING to wear that is decent for winter. 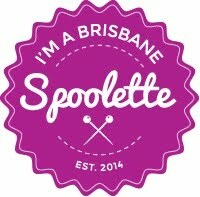 I am getting the word out there for the people who live in Brisbane or surrounds and can make it. It's a bit out of the way but easy enough to get to and well worth the trip. I hope some of you can make it because it really is worth it. I have bought heaps of patterns recently and I am looking forward to getting some stuff to make it. Good luck and let me know if you go and what you thought. Don't forget to get on their mailing list and they will send you the flyer when they next have their sale. Camelia Crinolinehas passed this award onto me! I am thrilled - thanks Camelia! I didn't expect to get any awards as I only had 19 followers up until my giveaway so it's a lovely surprise! 1. What size shoes do you wear? If you wear a 7 can I borrow your shoes? Alas, I wear an 8! Which is a shame because then I could have borrowed yours too!! Oh I am a child of the 60's! Born 1962 and I love the 60's fashion ... Yeah baby! 4. Have you ever been poisoned? I wonder why this question comes after the kissing question??!! Not to my knowledge but lets face it, if you kiss someone you shouldn't maybe some one did want to/try to!! he he didn't work.